Today’s blog article has kindly been provided by Andrea Brewster, IP Inclusive leader, and is a report on the joint IP Inclusive, CIPA and LawCare webinar on mental health. “We have to take responsibility for our mental health.This possibly isn’t what you want to hear when the existing demands on your resources are already close to overwhelming, but it was a key message from our 15th May webinar on “Why looking after your mental health is so important”. Ann Charlton, from the charity LawCare, didn’t mince her words. We are all responsible, she said, for recognising and responding to potential mental health problems – in ourselves and in the people around us – and for addressing those problems openly and without judgement. Harsh though this introduction might have seemed, it was followed by sound and above all practical advice that showed our webinar presenter to be exactly the kind of straight-talking, wise and supportive friend that we all need when things are getting on top of us; she was concerned not only with helping us, but also with teaching us to help ourselves. The webinar was jointly organised by IP Inclusive, CIPA and LawCare. It was open to all IP professionals and attracted over 130 registered attendees, some of whom would undoubtedly have been listening in groups with other colleagues. 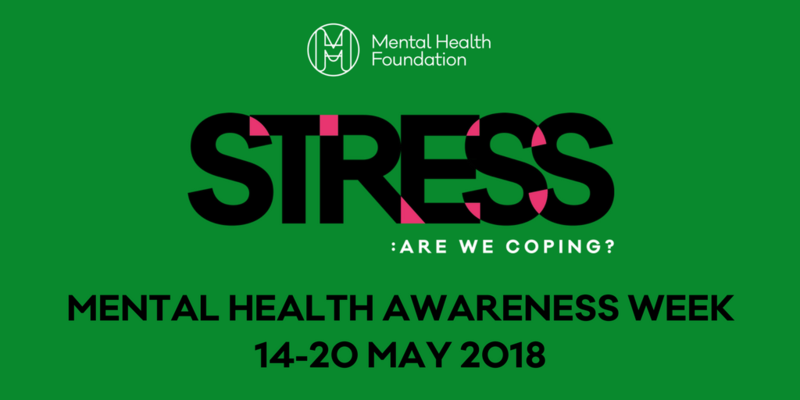 Intended to mark Mental Health Awareness Week, for which this year’s theme is stress, it explored how stress can affect professionals in the legal sector and what we can do to make ourselves more resilient to its ill-effects. The impact that stress can have on a person’s physical and mental health, their relationships, their performance (stress can seriously erode decision-making capacity, for example), their business and indeed on the profession as a whole. The need for self-awareness, for identifying the signs of stress in ourselves and in those we’re close to. The warning signs to look out for, from changes in personality, behaviour or working patterns to all manner of physical symptoms (problems sleeping, headaches, changes in appetite or libido, tiredness, tearfulness, backache, nausea, digestive problems, skin rashes, reduced immunity to infection… the list goes on) and of course the classic pointers in increased alcohol, caffeine or nicotine dependence. ​The importance of recognising that we all respond differently to the pressures we face. Feeling stressed does not make you a lesser person or a less capable professional simply because someone else in the same circumstances appears to be coping fine. There should be no shame, no stigma in finding things are getting too much for you. The need to admit when we have problems, to talk about them, to seek appropriate support, and with that support to take control of the underlying causes. Hard as it may seem when we’re suffering from stress, it’s vital that we seek to change whatever’s at the root of the problem, whether it’s working patterns, lifestyle, relationships or quite possibly our own responses to those things. Steps we can take to help reduce the impact of stress, or to turn our lives around when it gets the better of us – including improving our diet; taking more exercise; reducing our intake of alcohol and other drugs; allowing ourselves sensible amounts of sleep; improving our work-life balance (which includes scheduling regular breaks, and ensuring that they really are away from work); prioritising our tasks each day and distancing ourselves as far as possible from distractions such as the inbox or social media; connecting with and being kind to other people, and seeking their support when that’s appropriate; continuing to expose ourselves to new things and learning experiences, in particular away from the desk; and having a purpose for ourselves, goals to aim for, that go beyond what’s required in the workplace. The value of a few minutes’ “fire break” when stress threatens to overwhelm you, to take stock and regroup, perhaps using mindfulness techniques or deep breathing or by conjuring a happy memory to break the cycle of panic. This advice was all firmly grounded in LawCare’s experience of working with legal professionals, who often have the “Type A” personality (highly motivated, perfectionist, impatient, controlling, competitive) and whose stress levels are of course increased by the long hours culture, high workloads, outcomes-focused appraisals, the perceived need for self-sufficiency and a strong fear of the consequences of making a mistake. A 2017 HSE study showed that the legal profession is the third most highly stressed in the UK, behind only welfare professionals and nurses/midwives. 27% of the calls to LawCare’s helpline are stress-related. Stress becomes a problem when the pressures we’re subjected to exceed the resources (both internal and external) we have available to withstand them. The point at which the balance tips will be different for everyone, and may vary with time and of course with the things going on elsewhere in our lives. A bit of pressure is an excellent motivator, and makes our lives more fulfilling; too much is dangerous both for ourselves and for those around us. Each of us needs to be alert to signs that the pressure/resources balance is swinging, to take positive steps to change the things we can to redress that balance, and to seek support when we need to bolster our own resources. The World Health Organisation defines mental health as “a state of well-being in which every individual realizes his or her own potential, can cope with the normal stresses of life, can work productively and fruitfully, and is able to make a contribution to her or his community.” This is what we should be aiming for. This is what we deserve. Now and then, stress is almost certain to threaten our mental health, but by giving ourselves the tools, and the confidence, to recognise, articulate and confront it, we can tame this demon. If you missed the live webinar, or would like to listen to it again, you can access a recording here. Our thanks again to CIPA and LawCare for supporting the event, to Ann Charlton for sharing her time and her wise words, and to Darren Smyth of EIP who chaired the webinar for us.